Please take note that the following is not my work, but it does come from a reliable source. I’m placing it on this page so other genealogists can utilize it as a resource. I’ll update & source it at a later time. JOHN1 RENFRO was born about 1830 in Missouri. He died before 1870. He married ELIZABETH OWEN about 1849. She was born on 25 Nov 1832 in Tennessee. She died on 11 Dec 1889 in Mine LaMotte , Madison Co. Missouri. MARGARET2 RENFRO was born in 1849 in Washington Co. Missouri. ii. KIZZIE (KEZIAH) RENFRO was born in 1852 in Washington Co. Missouri. She died on 15 Mar 1905 in Mine LaMotte Madison Co. Missouri. She married (1) JOHN WALTER BURNIA about 1874, son of Louis Bernier and Ruth Renfro. He was born on 09 May 1853 in Mine LaMotte,Madison Co. Missouri. He died on 15 Feb 1920 in Flat River, St Francois Co Missouri. She married (2) WILLIAM THOMPSON on 26 Jan 1869 in Washington Co. Missouri. She married (3) JELSON YARBROUGH on 03 Apr 1870 in Washington Co. Missouri. MARY ELIZABETH RENFRO was born in 1854 in Washington Co. Missouri. iv. JAMES S. RENFRO was born on 07 Feb 1855 in Washington Co. Missouri. He died on 09 Aug 1919 in St Louis City Missouri. He married SARAH JANE ADAMS on 14 Dec 1876 in Madison Co. Missouri. She was born in Aug 1857 in Tennessee. MARTHA RENFRO was born in 1859 in Washington Co. Missouri. FANNIE RENFRO was born in 1865 in Washington Co. Missouri. KIZZIE (KEZIAH)2 RENFRO (John1) was born in 1852 in Washington Co. Missouri. She died on 15 Mar 1905 in Mine LaMotte Madison Co. Missouri. She married (1) JOHN WALTER BURNIA about 1874, son of Louis Bernier and Ruth Renfro. He was born on 09 May 1853 in Mine LaMotte,Madison Co. Missouri. He died on 15 Feb 1920 in Flat River, St Francois Co Missouri. She married (2) WILLIAM THOMPSON on 26 Jan 1869 in Washington Co. Missouri. She married (3) JELSON YARBROUGH on 03 Apr 1870 in Washington Co. Missouri. I am using a biblical name of Keziah meaning Cassia with a diminutive of Kizzie. Believe her son William is the child of William Thompson but may also be the child of 2nd husband Yarbrough. Do not know what last name he used. i. JAMES HENRY3 BURNIA was born on 08 May 1873 in Mine Lamotte Madison Co. Missouri. He died on 04 Apr 1949 in Flat River, St Francois Co. Missouri. He married CLARA ANNA SALES on 03 Jul 1901 in Madison Co. Missouri, daughter of William C Sales and Mary Beckle. She was born on 24 Aug 1885 in Scott Co. Missouri. She died on 17 Feb 1957 in Warrenton, Warren Co. Missouri. ii. MARTHA L BURNIA was born on 24 May 1874 in Mine Lamotte Madison Co. Missouri. She died on 26 Jan 1902 in Mine Lamotte Madison Co. Missouri. She married GEORGE LEWIS VANDERGRIFF on 03 Aug 1892 in Madison Co. Missouri, son of Martin Vandergriff and Martha White. He was born on 18 Jan 1872 in Mine LaMotte, Madison Co. Missouri. He died on 25 Oct 1957 in St Louis Co. Hospital, Clayton, Missouri. JAMES BURNIA was born in 1878 in Mine Lamotte Madison Co. Missouri. iv. RUTH MATILDA BURNIA was born on 18 Mar 1879 in Mine Lamotte Madison Co. Missouri. She died on 15 May 1955 in Leadwood, St Francois Co. Missouri. She married (1) JOHN REYNOLDS about 1901. He was born in Aug 1875. She married (2) STEVE CREAGH after 1915. He was born on 01 Jan 1891 in Missouri. He died on 22 Mar 1981 in Mineral Area Osteopathic Hospital, Farmington Missouri. v. CHARLES BURNIA was born on 18 Feb 1882 in Mine Lamotte Madison Co. Missouri. She died on 17 Oct 1935 in Detroit Michigan. She married DOLLY L STEAGALL on 21 May 1905 in Madison Co. Missouri, daughter of Alexander Steagall and Margaret Littrel. She was born on 17 Jul 1887 in Madison Co Missouri. She died on 16 Jun 1965 in Bonne Terre Hospital, St Francois Co Missouri. UNKNOWN MALE BURNIA was born on 30 Jul 1885 in Mine LaMotte , Madison Co. Missouri. He died on 30 Jul 1885 in Mine LaMotte , Madison Co. Missouri. UNNAMED BURNIA was born on 30 Jul 1885 in Mine Lamotte Madison Co. Missouri. He died on 30 Jul 1885 in Mine Lamotte Madison Co. Missouri. viii. JOHN ALEXANDER BURNIA was born on 27 Jul 1886 in Mine LaMotte, Madison Co, Missouri. He died on 08 Jun 1954 in St Louis City Hospital, St Louis Mo.. He married (1) RACHEL SUTTON on 07 Feb 1910 in Fredericktown, Madison Co. Missouri, daughter of John L Sutton and Margaret “Maggie” Mae Frizzell. She was born in Jun 1894 in Spencer Owen Co. Indiana. She died in 1967 in St Louis Missouri. He married (2) ELIZABETH E. She was born on 23 Feb 1876 in Mo.. She died on 04 Jul 1959 in St Louis Missouri. BENJAMIN LAWRENCE SALES on 20 Dec 1913 in Madison Co. Missouri, son of William C Sales and Mary Beckle. He was born on 23 Nov 1893 in Scott Co. Missouri. He died on 27 Apr 1961 in Bonne Terre Hospital, St Francois Co. Mo.. She married (3) JAMES H BOWLING on 21 Aug 1919 in Flat River, St Francois Co Missouri. He was born about 1899.
x. JOHN WALTER (FLYNN) BURNIA was born on 01 Mar 1891 in Madison Co. Missouri. He died on 12 Sep 1953 in St Louis City Hospital, St Louis Mo.. He married MATTIE SUTTON on 17 May 1915 in Bethel Church at Catherine, Madison Co. Missouri, daughter of John L Sutton and Margaret “Maggie” Mae Frizzell. She was born on 09 Mar 1897 in Spencer, Owen Co, Indiana. WILLIAM3 THOMPSON was born in 1870 in Washington Co. Missouri. JAMES S.2 RENFRO (John1) was born on 07 Feb 1855 in Washington Co. Missouri. He died on 09 Aug 1919 in St Louis City Missouri. He married SARAH JANE ADAMS on 14 Dec 1876 in Madison Co. Missouri. She was born in Aug 1857 in Tennessee. i. JOHN ALLEN3 RENFRO was born on 08 Oct 1886 in Mine LaMotte, Madison Co. Mo.. He died on 15 Sep 1958 in Orange Co. California. He married IDA SUTTON on 07 Feb 1910 in Fredericktown, Madison Co. Missouri, daughter of John L Sutton and Margaret “Maggie” Mae Frizzell. She was born in Oct 1893 in Spencer Owen Co.
JAMES HENRY3 BURNIA (Kizzie (Keziah)2 Renfro, John1 Renfro) was born on 08 May 1873 in Mine Lamotte Madison Co. Missouri. He died on 04 Apr 1949 in Flat River, St Francois Co. Missouri. He married CLARA ANNA SALES on 03 Jul 1901 in Madison Co. Missouri, daughter of William C Sales and Mary Beckle. She was born on 24 Aug 1885 in Scott Co. Missouri. She died on 17 Feb 1957 in Warrenton, Warren Co. Missouri. She died in a fire at the Katy Jane nursing home in Warrenton Mo. MARY4 BURNIA was born on 14 Mar 1904 in Madison Co Missouri. She died on 12 Nov 1969 in Elvins, St Francois Co Missouri. She married JAMES CLAUDE MOSES on 17 Jan 1920 in St Francois Co. Missouri. He was born about 1900. EMMA PAULINE BURNIA was born about 1906. She married WILLIS RADFORD on 16 Nov 1922 in Flat River, St Francois Co Missouri. LAURA BURNIA was born on 18 Jun 1922 in Flat River, St Francois Co Missouri. She died on 02 Nov 1986 in St Louis Missouri. She married VIRGIL REVELLE on 22 Mar 1941 in Potosi, Washington Co Missouri. He was born on 03 Jul 1915 in Fredericktown, Madison Co. Mo. He died on 16 Mar 1977 in St Louis Missouri. MARTHA L3 BURNIA (Kizzie (Keziah)2 Renfro, John1 Renfro) was born on 24 May 1874 in Mine Lamotte Madison Co. Missouri. She died on 26 Jan 1902 in Mine Lamotte Madison Co. Missouri. She married GEORGE LEWIS VANDERGRIFF on 03 Aug 1892 in Madison Co. Missouri, son of Martin Vandergriff and Martha White. He was born on 18 Jan 1872 in Mine LaMotte, Madison Co. Missouri. He died on 25 Oct 1957 in St Louis Co. Hospital, Clayton, Missouri. i. JOHN HENRY4 VANDERGRIFF was born on 12 Sep 1893. He died in Oct 1972 in Jefferson Memorial Hospital, Festus, Missouri. He married ADA SUTTON on 07 Jun 1915 in Church at Catherine, Madison Co, Missouri, daughter of John L Sutton and Margaret “Maggie” Mae Frizzell. She was born on 09 Feb 1899 in Spencer, Owen Co, Indiana. She died on 31 Oct 1941 in Bethesda Hospital, St Louis Missouri. RUTH MATILDA3 BURNIA (Kizzie (Keziah)2 Renfro, John1 Renfro) was born on 18 Mar 1879 in Mine Lamotte Madison Co. Missouri. She died on 15 May 1955 in Leadwood, St Francois Co. Missouri. She married (1) JOHN REYNOLDS about 1901. He was born in Aug 1875. She married (2) STEVE CREAGH after 1915. He was born on 01 Jan 1891 in Missouri. He died on 22 Mar 1981 in Mineral Area Osteopathic Hospital, Farmington Missouri. Ruth married John Reynolds who was a border, in 1900 census, in home of Walter Burnia. KATIE4 REYNOLDS was born on 27 Dec 1901. She died on 30 Jan 1976 in Farmington Community Hospital. ii. FANNIE REYNOLDS was born on 04 Dec 1906 in Mine LaMotte Madison Co. Missouri. She died on 25 Nov 1985 in Salem Dent Co Missouri. She married JOHN WESLEY HARTZELL about 1926. He was born about 1889 in Missouri. JESSE REYNOLDS was born about 1911. FLORA DORA REYNOLDS was born on 23 Mar 1913 in Madison Co. Missouri. She died on 13 Jul 1989 in County Meadows Nuring Home. She married (1) CHARLES BARKER. He was born on 03 Apr 1904 in St Francois Co Missouri. He died on 01 Oct 1977 in Leadwood, St Francois Co Missouri. She married (2) FRANCIS WOMACK. He was born on 13 Oct 1916 in Elvins, St Francois Co Missouri. He died on 07 Jan 1999 in Desloge, St Francois Co Missouri. CHARLES3 BURNIA (Kizzie (Keziah)2 Renfro, John1 Renfro) was born on 18 Feb 1882 in Mine Lamotte Madison Co. Missouri. She died on 17 Oct 1935 in Detroit Michigan. She married DOLLY L STEAGALL on 21 May 1905 in Madison Co. Missouri, daughter of Alexander Steagall and Margaret Littrel. She was born on 17 Jul 1887 in Madison Co Missouri. She died on 16 Jun 1965 in Bonne Terre Hospital, St Francois Co Missouri. Charles Burnia, a former St Francois County resident, died Thursday, October 17 1935 in Detroit. He was 53 years 7 months and 25 days of age. His body was brought Saturday to the home of his daughter, Mrs Irene Plunkett in Leadington, where funeral services were conducted Monday afternon by the Rev. T.B. Chronister, pastor of the Assembly of God Church in Flat River. Interment was in the Mine LaMotte cemetery. The deceased was born in Mine LaMotte, February 18, 1882. He was united in marriage to Dolly Stegall of Fredericktown, who survives.He also leaves the following children, Mrs Irene Plunkett of Leadington; Mrs Stella Since of Flat River;Mrs Goldie Olsen, John, Leslie, Hazel, Lorraine and Virginia Burnia of Detroit; twelve grandchildren, two sisters, Mrs Ruth Craigh of Leadwood and Mrs. Fannie Boland of Cadet and three brothers, Alex, Henry and Flynn Burnia of Flat River. Mrs Charles Burnia and children, Loraine, Hazel and Virginia, Mrs Goldie Olsen, Mr and Mrs Lester Burnia and daughter, Mr and Mrs John Burnia and Raymond Casper all of Detroit who accompanied the body of their husband and father here last Saturday are spending this week with relatives in Esther and other lead belt towns. i. IRENE PEARL4 BURNIA was born on 02 Apr 1905 in Mine LaMotte Madison Co. Missouri. She died on 02 Sep 1989 in Farmington, St Francois Co Missouri. She married (1) FRED FLOYD OSTER after 1920. He was born on 19 Aug 1904 in Madison Co. Missouri. He died on 02 Aug 1991 in St Anthony’s Hospital, St Louis Co. Missouri. She married (2) TOBY PLUNKET on 20 Sep 1919 in St Francois Co. Missouri. STELLA M. BURNIA was born on 25 Feb 1906 in Mine LaMotte Madison Co. Missouri. She died on 24 Apr 1982 in Farmington, St Francois Co Missouri. She married JOSEPH SINCE JR on 21 Dec 1922 in Farmington, St Francois Co Missouri. He was born on 15 Oct 1900 in Doe Run, St Francois Co Missouri. He died on 15 Feb 1974 in Flat River, St Francois Co Missouri. GOLDIE MARIE BURNIA was born on 25 Feb 1908 in Missouri. She died on 30 Jul 1976 in Detroit, Wayne Co. Michigan. She married (1) NORMAN GRUNLEAF OLSON about 1929. He was born on 05 Dec 1892 in Carney Michigan. She married (2) ROY SNEAD on 21 Aug 1922 in Flat River, St Francois Co Missouri. He was born about 1904 in Missouri. In June 1965 in Michigan and married to a Norman Olsen. LESLIE A. BURNIA was born about 1912. MAMIE M BURNIA was born on 28 Apr 1913 in Madison Co. Missouri. She died on 27 Jun 1916 in Elvins, St Francois Co Missouri. JOHN BURNIA was born about 1916. (2) UNKNOWN HAUG before Jul 1938. HAZEL LENA BURNIA was born on 07 May 1922 in Flat River, St Francois Co. Missouri. She died on 12 Apr 1980 in Farmington, St Francois Co Missouri. She married JAMES F. (PAT) WILLIAMS on 17 Apr 1936 in St Francois Co. Missouri. He was born on 29 Jul 1917. He died on 03 Sep 2001 in Farmington, St Francois Co Missouri. VIRGINIA BURNIA was born on 29 Oct 1924 in Esther, St Francois Co. Missouri. She died on 28 Jan 1979 in Mineral Area Medical Center, Farmington, St Francois Co. Mo.. She married (1) DONALD MCBRIDE on 04 Mar 1937 in St Francois Co. Missouri. He was born on 10 Feb 1924 in St Francois Co . Mo. He died on 06 Jul 2002. She married (2) UNKNOWN BARRON after 1938. JOHN ALEXANDER3 BURNIA (Kizzie (Keziah)2 Renfro, John1 Renfro) was born on 27 Jul 1886 in Mine LaMotte, Madison Co, Missouri. He died on 08 Jun 1954 in St Louis City Hospital, St Louis Mo.. He married (1) RACHEL SUTTON on 07 Feb 1910 in Fredericktown, Madison Co. Missouri, daughter of John L Sutton and Margaret “Maggie” Mae Frizzell. She was born in Jun 1894 in Spencer Owen Co. Indiana. She died in 1967 in St Louis Missouri. He married (2) ELIZABETH E. She was born on 23 Feb 1876 in Mo.. She died on 04 Jul 1959 in St Louis Missouri. Funeral service on 11 June from the Pond Creek Baptist Church. Location between Mineral Point and Highway 47.Listed occupation Laborer. Coffin cost $150 and buried in a suit. Information given by daughter Marie’s husband Wilford Sansoucie. No record in Cemetery records as to where he is buried. “Rachel Burnia died 1967 at age 75 year old” Maybe be 1969 adding 75 to birth year of 1894. Cemetery records do not have a burial date but shows she is buried there. Family says she was living with daughter Nina when she died in Ill in town called something Park just across from St Louis. The only towns with park are Washington Park and State Park Place. BEULAH S4 BURNIA was born on 27 Sep 1912 in St Francois Co. Missouri. She died on 13 Jun 1929 in Washington Co. Missouri. She married ALBERT WESLEY TRUDO on 10 Nov 1928 in Potosi, Washington Co. Missouri, son of John B Trudo and Bertha May Degonia. He was born on 21 Jun 1907 in Washington Co. Missouri. He died on 11 Apr 1956 in St Louis City Missouri. According to two sides of family Beulah died during childbirth at a young age. One source saids she and the baby were buried behind the house. There is nothing to back up either of these story per her death cert. and lack of a death cert. for a child. According to death cert. she died of an infection of the brain and kidneys shuting down. EILEEN BURNIA was born on 26 Mar 1914 in Madison Co. Missouri. She died on 26 Dec 1914 in Madison Co. Missouri. Her death Cert. has her name as Alline Burnia. iii. ALMA MAY BURNIA was born on 16 Feb 1916 in Flat River, St Francois Co Missouri. She died on 04 Feb 2011 in St Joe Manor, Bonne Terre, St Francois, Co. Mo.. She married BUFFORD C NICKLES on 23 Apr 1932 in Cadet, Washington Co. Missouri. He was born in 1909 in Elvins, St Francois Co. Missouri. He died in 1990. JOHN SYLVESTER BURNIA was born on 08 Aug 1918 in Leadwood, St Francois Co.
Missouri. He died on 09 May 1920 in Flat River, St Francois Co Missouri. FREDDIE WILLIAM BURNIA was born on 14 Jan 1921 in Missouri. He died on 03 Sep 1991 in Bellflower California. He married MELBA CAIN on 05 Jul 1943 in Potosi, Washington Co Missouri. She was born on 09 Jan 1924 in Cadet Missouri. vi. MARIE BURNIA was born on 21 Aug 1923. She died on 14 Sep 1986 in Los Angeles California. She married WILFORD T. SANSOUCIE on 18 Feb 1939 in Cadet, Washington Co. Missouri, son of Joseph A. Sansoucie and Stella Valley. He was born on 29 Dec 1917 in Missouri. He died on 13 Jan 1975 in Mineral Point Washington Co. Mo. vii. GLADYS VIRGINIA BURNIA was born on 11 Jan 1926 in Leadwood, St Francois Co. Missouri. She died on 15 Dec 1991 in Affton,St Louis Missouri. She married (1) VIRGIL W CROSS on 16 Sep 1943 in Potosi, Washington Co Missouri, son of Virgil Cross and Dolly Ann LaChance. He was born on 14 Jul 1921 in Potosi, Washington Co. Missouri. He died on 31 Aug 1982 in St Louis City, Missouri. She married (2) EDWARD B MCCULLOUGH about 1970. He was born in 1917. He died on 18 Jan 1998 in St Genevieve Missouri. PAULINE ONETHA BURNIA was born on 10 May 1928. Pauline says she was married 6 times. Some were Lloyd Harris, Tom McMillian & Tom Eggink. In 2005 living in Clarkston Washington. Married name Workman. ix. NINA B BURNIA was born on 28 Aug 1931 in Washington Co. Missouri. She died on 01 Oct 1993 in Belle, Maries Co. Missouri. She married (1) ROBERT C WILCOX on 16 Aug 1953. He was born in 1925. He died on 09 Sep 1988. She married (2) PAUL THOMPSON. She married (3) ROBERT MOORE. She is buried in a single grave and not in a family plot. Per Funeral home they have no record of a obit and the informant on death cert.,Walter Golden is just a friend. They have no more information than what is on death cert. (1) ROBERT HUGH PRICE on 02 May 1905 in Madison Co. Missouri, son of Andrew Jackson Price and Julia Anna Gray. He was born on 24 Nov 1884 in Ste Genevieve Co. Missouri. He died on 10 May 1913 in Mine LaMotte , Madison Co. Missouri. She married (2) BENJAMIN LAWRENCE SALES on 20 Dec 1913 in Madison Co. Missouri, son of William C Sales and Mary Beckle. He was born on 23 Nov 1893 in Scott Co. Missouri. He died on 27 Apr 1961 in Bonne Terre Hospital, St Francois Co. Mo.. She married (3) JAMES H BOWLING on 21 Aug 1919 in Flat River, St Francois Co Missouri. He was born about 1899. Lived with her daughter Maudie and her husband Earl after leaving James Bowling. This was 5 years before her death and after her husband James killed her brother called Flynn in a fight in 1953. Fannie and James Bowling never had children but raised Flyod Ray Jolly from the age of 6 weeks. Her death cert. #58-028018 in Washington Co Mo. list her name as Mary Fannie Bowling. she was Divorced at time of her death. Also burial listed as Big River Cemetery which may have changed its name to the Leadwood name. She has a tombstone in Leadwood Cemetery next to her dau.Maude Wells. According to famly Fannie lost both legs to Diabetes. Fell on a sidewalk and had a depression of the skull and died of Epilepsy. Walter E. Wells and Josie Lee Wells. He was born on 27 May 1905 in Leadwood, St Francois Co. Missouri. He died on 27 Jul 1978 in Farmington Community Hospital. ii. NEOMA E PRICE was born on 28 Feb 1910 in Mine Lamotte Madison Co. Missouri. She died on 05 Sep 1973 in Crescent, St Louis Co. Missouri. She married (1) CHARLES EDWARD HORTON on 10 Aug 1933 in Potosi, Washington Co Missouri. He was born on 13 Jul 1913. He died on 28 Sep 1982 in Crescent, St Louis Co. Missouri. She married (2) GEORGE WASHINGTON HELMS on 15 Apr 1926 in Potosi, Wahington Co. Mo..
At time of death wife listed as Blanche. JOSEPH BENJAMIN4 SALES was born on 06 Oct 1914 in Madison Co. Missouri. He died on 14 Oct 1916 in Fredericktown, Madison Co. Mo. Cause of death Typhoid Fever. According to son he died in about 1974 or 75 and buried in Balwin. i. FLOYD RAY 4 JOLLY was born on 23 Sep 1936 in Missouri. He died on 30 Sep 2006 in St Clair, Franklin Co Mo..
His parents were Fred Jolly and Pauline Declue. When Pauline died on Nov. 12 1936 of pneumonia, Floyd went to live with Fannie and James Bowling. Pauline and Fred were married 12 March 1928 in Washington Co. Mo. She is buried at New Masonic Cemetery in Potosi Mo. Her parents were J. W. Vandergriff and Anna Cash per 1910 St Francois Co. Mo. census and Pauline’s death cert. Pauline was adpoted by William M. and Lula Declue per 1920 census and her marriage record. JOHN WALTER (FLYNN)3 BURNIA (Kizzie (Keziah)2 Renfro, John1 Renfro) was born on 01 Mar 1891 in Madison Co. Missouri. He died on 12 Sep 1953 in St Louis City Hospital, St Louis Mo.. He married MATTIE SUTTON on 17 May 1915 in Bethel Church at Catherine, Madison Co. Missouri, daughter of John L Sutton and Margaret “Maggie” Mae Frizzell. She was born on 09 Mar 1897 in Spencer, Owen Co, Indiana. Police were investigating today the death of John W. Burnia who suffered a skull fracture Sept 5 in a fall on stairs at his home 624A Lynch street following an altercation with his brother-in-law, James Bowling. Burnia, 62 years old, died at City Hospital Saturday. Bowling, held by police, said he kicked at Burnia causing him to fall down 12 outside wood steps, after the latter threatened to strike him with a beer bottle. Mattie married the brother of Rachel’s Husband. i. SAMUEL L .4 B URNIA was born on 19 Aug 1918 in Leadwood, St Francois Co. Missouri. He died on 12 May 1920 in Esther, St Francois Co. Mo..
JOHN ALLEN3 RENFRO (James S.2, John1) was born on 08 Oct 1886 in Mine LaMotte, Madison Co. Mo.. He died on 15 Sep 1958 in Orange Co. California. He married IDA SUTTON on 07 Feb 1910 in Fredericktown, Madison Co. Missouri, daughter of John L Sutton and Margaret “Maggie” Mae Frizzell. She was born in Oct 1893 in Spencer Owen Co. Indiana. Rutha LaChance is listed as the Medical Attendent at his birth. She may also be his Great Aunt. He is also listed as the 6th child of James and Sarah. I do not think Ida and John Allen were married to each other for very long. I can not find them together in 1910 nor 1920 census. According to family she died in St Louis in 1960’s. And Herman’s daughter said she married a Steve Skaggs. In 1957 a Ida Skaggs signed Herman’s funeral book. CHARLES EVERET4 RENFRO was born on 25 Feb 1912 in Madison Co. Missouri. She died on 18 Jan 1913 in Fredericktown, Madison Co. Missouri. ADA SUTTON on 07 Jun 1915 in Church at Catherine, Madison Co, Missouri, daughter of John L Sutton and Margaret “Maggie” Mae Frizzell. She was born on 09 Feb 1899 in Spencer, Owen Co, Indiana. She died on 31 Oct 1941 in Bethesda Hospital, St Louis Missouri. According to Death Certificate she was separated, from her husband, at the time of death. She died from inflamation of the Heart. She was living in Potosi, Washington Co. Missouri. According to Geneva’s daughter both Ada and her mother had red hair. EARL MELVIN5 VANDERGRIFF was born on 21 Mar 1916 in St Francois Co, Missouri. He died on 12 Jul 1981. He married VIOLET ALBERTA HEDRICK on 09 Sep 1939 in Cadet, Washington Co. Missouri. ARTHUR E VANDERGRIFF was born on 12 Mar 1918 in St Francois Co, Missouri. He died on 23 Jan 1973. He married BERNICE MOON on 05 Jun 1937 in Cadet, Washington Co. Missouri. She was born on 02 Mar 1921 in Potosi, Washington Co. Missouri. She died on 16 Feb 1984 in Alexian Brothers Hospital, St Louis Missouri. According to Geneva’s daughter, Arthur’s nickname was Coff. DOROTHY M VANDERGRIFF was born on 30 Nov 1919 in Flat River, St Francois Co Missouri. She died on 27 Oct 1920 in Flat River, St Francois Co Missouri. HAZEL M. VANDERGRIFF was born on 11 Sep 1921 in Flat River, St Francois Co Missouri. She died on 01 Apr 1922 in Flat River, St Francois Co Missouri. FLOYD JOHN VANDERGRIFF was born on 25 May 1923 in Flat River, St Francois Co Missouri. He died on 16 Sep 1924 in Flat River, St Francois Co Missouri. GENEVA RUTH VANDERGRIFF was born on 14 Jul 1925 in Flat River, St Francois Co. Missouri. She died on 25 Aug 1978 in Normandy Osteopathic Hospital-South, St Louis, Missouri. She married RAYMOND OTTIS PYATT on 31 May 1941 in Cadet, Washington Co. Missouri. He was born on 02 Oct 1920 in Buick. He died on 16 Jul 1991 in Depaul Health Center, St Louis, Missouri. RUBIE L VANDERGRIFF was born on 07 Jan 1930 in Cadet, Washington Co. Missouri. She died on 07 Jul 1931 in Cadet, Washington Co. Missouri. EUGENE ROBERT VANDERGRIFF was born on 04 Nov 1932 in Cadet, Washington Co.
Missouri. He died on 25 Mar 1937 in Cadet, Washington Co. Missouri. Twin of Bobby Gene. Homemade Tombstone says Ugene Vandergriff. BOBBY GENE VANDERGRIFF was born on 04 Nov 1933 in Potosi, Washington Co. Missouri. He died on 28 Feb 2006 in St Louis Missouri. He married BARBARA LEE FOWLER on 17 Nov 1952. She was born on 10 Feb 1935 in Trenton Tennessee. She died on 03 Sep 1979 in St Louis City, Missouri. VANDERGRIFF, BOBBY G. on Tuesday, February 28, 2006. Dear husband of the late Barbara Vandergriff;dear father of Kathy (Greg) Taber, Robert (Kathy) Vandergriff, Brenda Duty, Tina (Anthony Daniels) Vandergriff and the late Mary Lee (Survived by Gary) Smith; dear grandfather, great-grandfather, brother-in-law, uncle and friend. Services: funeral at KUTIS SOUTH COUNTY Chapel, 5255 Lemay Ferry Rd. (at Bulter Hill) on Monday, March 6 at 1:30 p.m. Interment J. B. National Cemetery. Bobby was a Clergy of Word Ministries. Visitation Sunday, 4-9 p.m. He was the twin of Robert Eugene Vandergriff. CARL VANDERGRIFF was born after 1934 in Potosi, Washington Co. Missouri. According to Geneva’s daughter Carl died as a child. May be buried in Woodlawn cemetery in Leadington. FANNIE4 REYNOLDS (Ruth Matilda3 Burnia, Kizzie (Keziah)2 Renfro, John1 Renfro) was born on 04 Dec 1906 in Mine LaMotte Madison Co. Missouri. She died on 25 Nov 1985 in Salem Dent Co Missouri. She married JOHN WESLEY HARTZELL about 1926. He was born about 1889 in Missouri. STILLBORN5 HARTZELL was born on 28 Jul 1927 in Leadwood, St Francis Co. Mo.. She died on 28 Jul 1927 in Leadwood, St Francis Co. Mo..
RUTH VIRGINIA HARTZELL was born on 01 Aug 1928 in Leadwood, St Francis Co. Mo..
LORENE4 BURNIA (Charles3, Kizzie (Keziah)2 Renfro, John1 Renfro) was born after 1920. She married (1) CARL MCBEE on 19 Mar 1936 in St Francois Co. Missouri. He was born about Aug 1916 in Missouri. She married (2) UNKNOWN HAUG before Jul 1938. CARL GENE5 MCBEE was born on 07 Jan 1937 in Leadington, St Francois Co. Mo.. He died on 17 Jul 1938 in Leadington, St Francois Co. Mo..
ALMA MAY4 BURNIA (John Alexander3, Kizzie (Keziah)2 Renfro, John1 Renfro) was born on 16 Feb 1916 in Flat River, St Francois Co Missouri. She died on 04 Feb 2011 in St Joe Manor, Bonne Terre, St Francois, Co. Mo.. She married BUFFORD C NICKLES on 23 Apr 1932 in Cadet, Washington Co. Missouri. He was born in 1909 in Elvins, St Francois Co. Missouri. He died in 1990. CARL LEROY5 NICKLES was born on 01 Jan 1935 in Cadet, Washington Co. Mo.. He died on 08 Mar 2003 in St Louis University Hospital, St Louis Mo..
BETTY LOUISE NICKLES was born on 06 Aug 1942 in Mineral Point, Washington Co. Mo.. She died on 07 Aug 1942 in Mineral Point, Washington Co. Mo..
18 Feb 1939 in Cadet, Washington Co. Missouri, son of Joseph A. Sansoucie and Stella Valley. He was born on 29 Dec 1917 in Missouri. He died on 13 Jan 1975 in Mineral Point Washington Co. Mo. Lived at 2301 3rd Street in St Louis in 1950.
i. CAROLINE SUE5 SANSOUCIE was born on 10 Jul 1950 in St Louis City Missouri. She died on 16 Nov 1950 in St Louis City Missouri. GLADYS VIRGINIA4 BURNIA (John Alexander3, Kizzie (Keziah)2 Renfro, John1 Renfro) was born on 11 Jan 1926 in Leadwood, St Francois Co. Missouri. She died on 15 Dec 1991 in Affton,St Louis Missouri. She married (1) VIRGIL W CROSS on 16 Sep 1943 in Potosi, Washington Co Missouri, son of Virgil Cross and Dolly Ann LaChance. He was born on 14 Jul 1921 in Potosi, Washington Co. Missouri. He died on 31 Aug 1982 in St Louis City, Missouri. She married (2) EDWARD B MCCULLOUGH about 1970. He was born in 1917. He died on 18 Jan 1998 in St Genevieve Missouri. MCCULLOUGH, GLADYS V. (nee Vurnia). Sun.,Dec 15, 1991, beloved wife of Edward McCullough, dear mother of Virginia L. Lawrence, Patsy A. Terry, Frances E. Lamastus, James McCullough, our dear foster mother, grandmother, sister, aunt, cousin and friend. Services at HOFFMEISTER SOUTH COUNTY Chapel, 1515 Lemay Ferry Road. Wed Dec 18, 11:30 a.m. Interment Mt. Hope Cemetery. VISITATION TUES. 3-9 P. M.
i. VIRGINIA L5 CROSS was born on 02 Jul 1945 in St Louis City, Missouri. She died about 1995. PATSY A CROSS was born on 27 Jan 1947 in St Louis City, Missouri. She died in 2009. FRANCES E CROSS was born on 01 Nov 1948 in St Louis City, Missouri. NINA B4 BURNIA (John Alexander3, Kizzie (Keziah)2 Renfro, John1 Renfro) was born on 28 Aug 1931 in Washington Co. Missouri. She died on 01 Oct 1993 in Belle, Maries Co. Missouri. She married (1) ROBERT C WILCOX on 16 Aug 1953. He was born in 1925. He died on 09 Sep 1988. She married (2) PAUL THOMPSON. She married (3) ROBERT MOORE. NEOMA E4 PRICE (Fannie Marie3 Burnia, Kizzie (Keziah)2 Renfro, John1 Renfro) was born on 28 Feb 1910 in Mine Lamotte Madison Co. Missouri. She died on 05 Sep 1973 in Crescent, St Louis Co. Missouri. She married (1) CHARLES EDWARD HORTON on 10 Aug 1933 in Potosi, Washington Co Missouri. He was born on 13 Jul 1913. He died on 28 Sep 1982 in Crescent, St Louis Co. Missouri. She married (2) GEORGE WASHINGTON HELMS on 15 Apr 1926 in Potosi, Wahington Co. Mo..
VIOLET HORTON. She died before 2005. DONALD HORTON. He died before 2005. My name is Bethany Amber Renfro (Brock) I’m interested in finding out about my family’s history and genealogy. I do have knowledge of some of my grandmother’s accounts as she told me stories of how she grew up and what it was like for them there. Laura Godfrey started keeping the history of my family tree. When I was a little girl my grandmother Lois Jane Godfrey told me of, her, grandmother and how she wanted to name her Ida Lois Jane Renfro. She married William Chalmer Renfro but they called him Bill for short. The story about grandfather? He was a jockey and he had won races in Santa Rosa and Santa Monica, California. They had three children two boys and a girl; Ronnie Renfro, Steven Renfro and Darlene Renfro. The children were raised in Little Rock, Arkansas but they ended up moving to California. This is where they had their 100 th family reunion a few years past. The last one held was in the same location but our cousin wasn’t able to keep the tradition going after that but 101 years !!!! We can collaborate and better determine how we are all related as a family unit and for the purpose of completing our family tree making it more accurate and concise so as to discover where we truly originated from. To live, to love, to laugh, and to learn, share, and teach one another, each of us growing from the very experience. To be amazed by; what is, what is to come and what can be for us all in the future. To rekindle long lost traditional gathering, with a renewed observance. We can make this a real hope for all of us by working together to make this event a reality and to realize a meaningful understanding of each other’s lives about our; travels, our hopes and dreams and to gain wisdom by word of mouth, using documentation to keep us passing on life’s Miracle Messages From Heaven to the generations that follow in our footsteps and any information on this genealogical account that you may have can help us achieve my goal. I’m determined not to loose any account our family’s history; the who, the what, the when, the where, the why and how it came to be. 🙂 I refuse to let our collective memories of 101 years to fade away!!!! Let’s make this happen, together, I know we can, no matter what happened in the past; a new beginning of a renewed kinship …. WE’RE FAMILY….. ON THIS EARTH AND IN HEAVEN….. FOR ETERNITY!!! Thank you for any information you may have on our family and friends of family, stories that were passed on, or stories you remember being told from grandparents. Any traditional gatherings you may recall and fun facts of interest you may know. If any of our ancestors practiced any rituals, what languages they spoke, favorite quotes, hobbies they may of had interest in, also what they did for a living? How husbands met their wives or with any other family relation or event known to you. 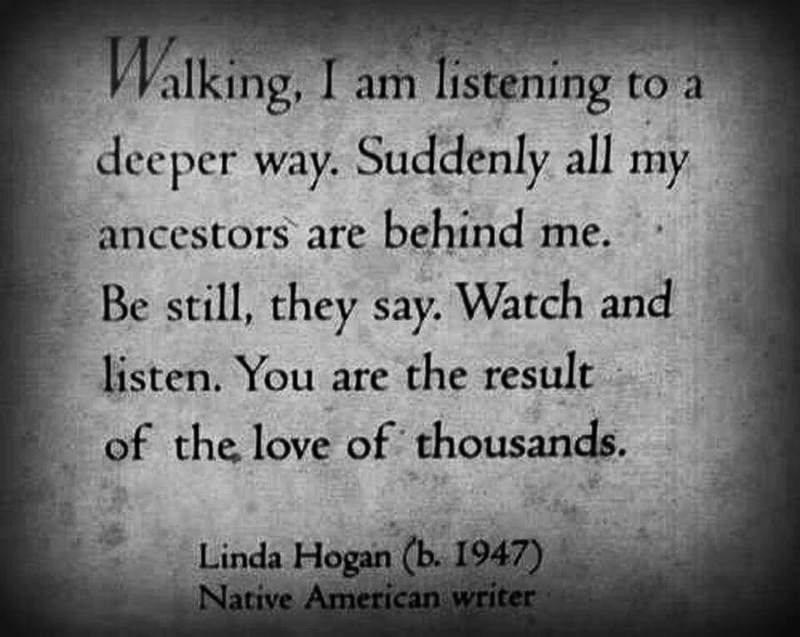 I intend to use it to make of a family genealogical archive that shows how we are all related to one another. The first researched historical archive of our common family ancestors with the hope of turning it into a real life gathering of loved ones. 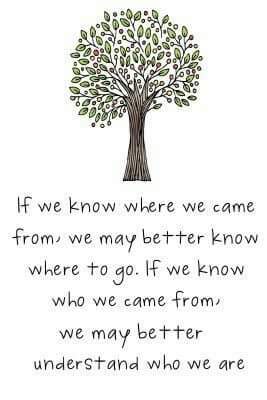 Then maybe we can start to figure out the puzzle that is our family tree. At the very least to acknowledge one another and to gain a solemn respect for the man whom we owe everything to and come to better understand the generations at the trunk of our family tree. 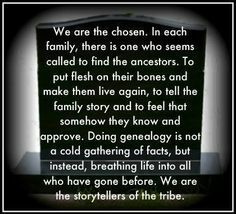 Remembering to include our current family and friends for it is this that forges us all together since we are all from Gene ‘s, DNA……. Blood or adopted it does not matter because we must always be a family that is loving foremost and for the rest of all our given breath’s, to live the lives we have to learn and challenge us growing together as a family. Bethany Amber Renfro (divorced) Brock . Floyd Ray bowling Jolly was my dad his parent’s were Pauline vandergriff jolly and Fred jolly we kept the bowling name. Floyd had a sister who just passed Marie jolly who married Claus Christians of potosi or Kennett mo.